When it comes to core business values, it’s challenging to connect lofty corporate goals with day-to-day operations, but not so for Cox Automotive. The privately held company has long espoused the priority it places on employees and clients, but its response to Hurricane Maria and the Puerto Rican devastation proves those values are more than just a nice sentiment. Before Hurricane Maria made landfall September 20, Cox Automotive put infrastructure and teams in place to provide recovery supplies for its 30 employees. After the storm passed the company’s first action was to confirm their safety. The company then turned its attention to relief efforts, airlifting 10,000 pounds of water, two filtration systems, generators plus diesel fuel to power them, batteries, tarps and 480 MREs (Meal Ready-to-Eat rations). But they weren’t done. Financial assistance in the form of checks were delivered to employees from the Cox Employee Relief Fund -- a non-profit fund designated for Cox employees impacted by natural disasters, injury, illness or loss of a family member. At the same time, a cross-company team was formed to help impacted clients get back to business as quickly as possible. The team identified and contacted qualified clients with temporary technical, logistical and financial assistance, putting the full power of Cox Automotive’s portfolio to work for them. 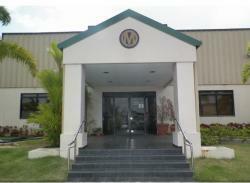 These comprehensive relief efforts made it possible for Manheim Puerto Rico to host its first post-hurricane sale October 12, a critical component to helping residents replace flood-damaged vehicles and a sign of hope that normalcy is returning to their lives and businesses. Of the 200 vehicles offered for sale, 70 sold and 30 additional vehicles were pending sale.